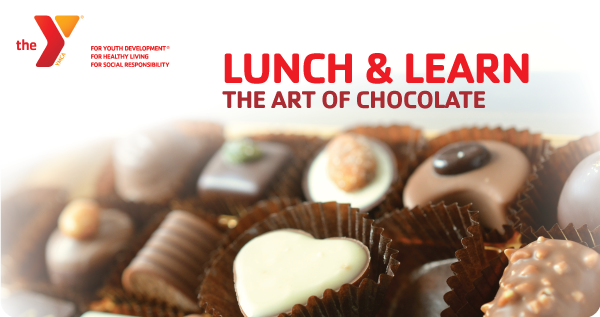 Lunch & Learn "The Art of Chocolate"
Join us for a mouth-watering, interactive presentation on all things chocolate. We’ll take a look at the origin of chocolate and its health benefits. Believe it or not, there is a reason you crave chocolate and it could be related to your nutrient needs! Best of all in addition to a light lunch -- there will plenty of taste testing opportunities for you to enjoy different qualities and types of delicious chocolate. YUM! Presented by Elizabeth Girouard, Certified Integrative Nutrition Health Coach and Certified Master Workplace Wellness Ambassador, Founder of Pure Simple Wellness. Pre-registration required. Please call 908-273-3330 or stop by the Members Services Desk at the Summit YMCA.